Today from 6-8 EST/5-7 pm CST, TRN Wrestling, a terrestrial pro wrestling radio show on WLPN 105.5 FM Chicago (Lumpen Radio), WENT LIVE! 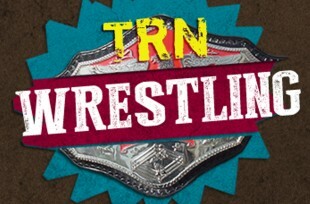 TRN Wrestling is hosted by WrestleZone Radio’s Nick Hausman & The Folk City Hustler Ross Berman. Midway through the show TRN Wrestling features a pre-taped interview that were provided by WrestleZone.com for this Lumpen Radio broadcast. It features Nick chatting with WWE Hall of Famer Jake “The Snake” Roberts. Towards the end of the show Nick & Ross jump in to their #NOCFinish hash tag game where fans submitted ideas for what should happen at the end of this weekend’s Night Of Champions WWE Network special. Support WrestleZone Radio by subscribing on iTunes or Soundcloud.